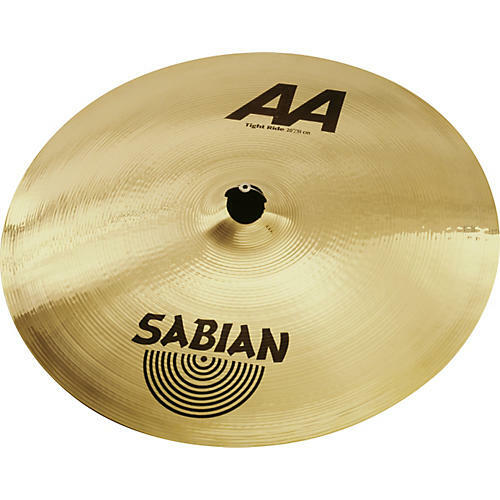 Sabian AA Tight Ride Cymbal 20 in. Clear ride and bell sounds remain bright and focused for clean, tight definition at all times. A combination of musicality and energy for sounds that are bright, bold, and explosive. Secret-process bronze shaped under 75 tons of pressure delivers inner strength and outer energy.